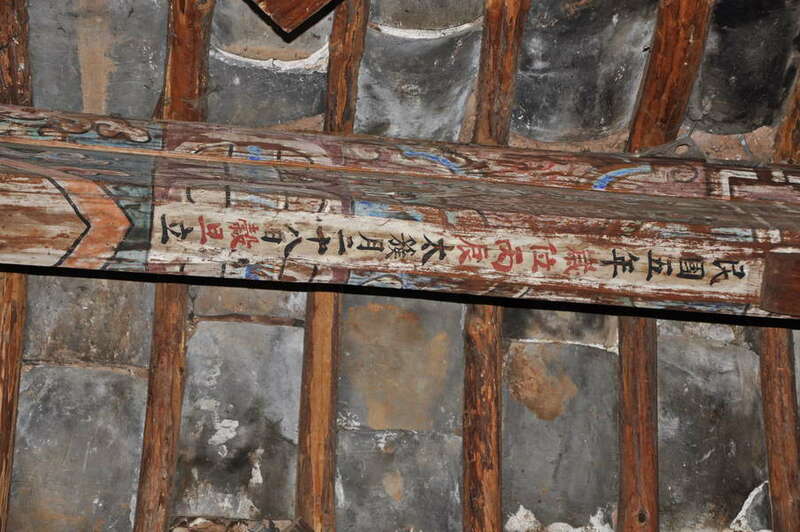 Prior our recent restoration work, the last known major renovation to 慈荫庵 or the Pear Orchard Temple was 1916. 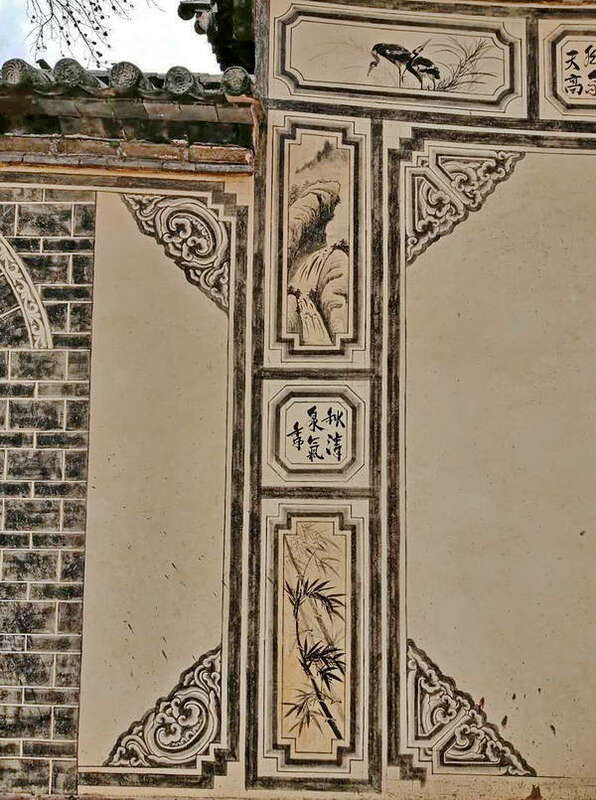 This is documented on the ridge beam of the Jade Emperor shrine at the highest construction of the temple complex. 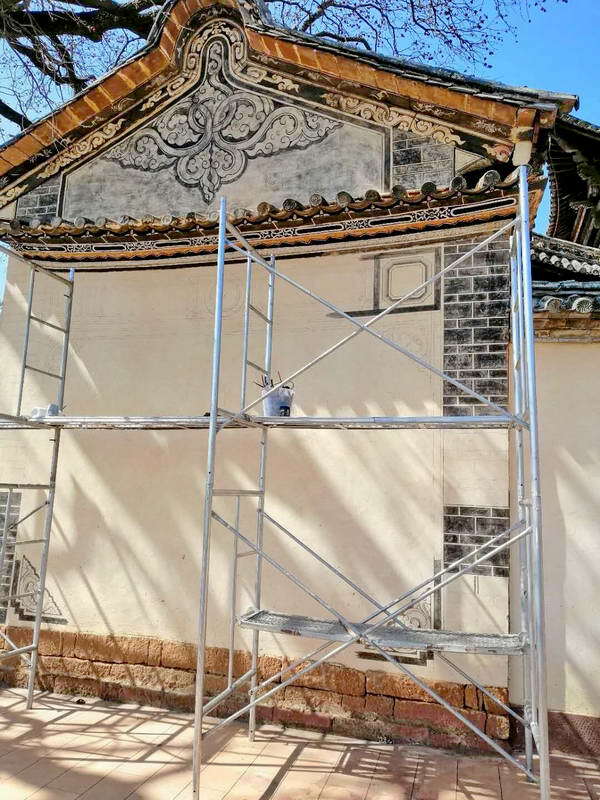 Before removing old plaster or taking down entire walls, our project leader Mr. Yang carefully documented all existing wall painting, which was extensive, but mostly poor quality. 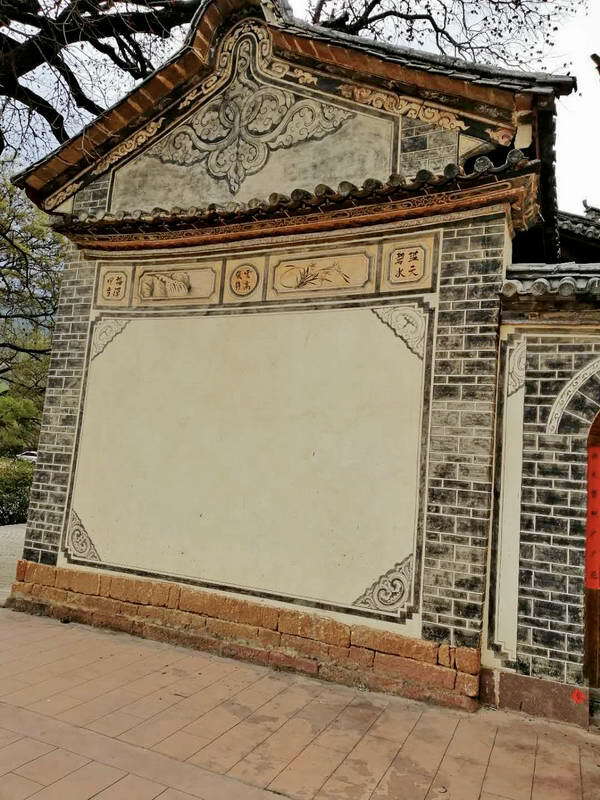 Temple wall painting is a specific kind of artwork that follows traditional Bai etching with ink on the outside walls of family courtyards. 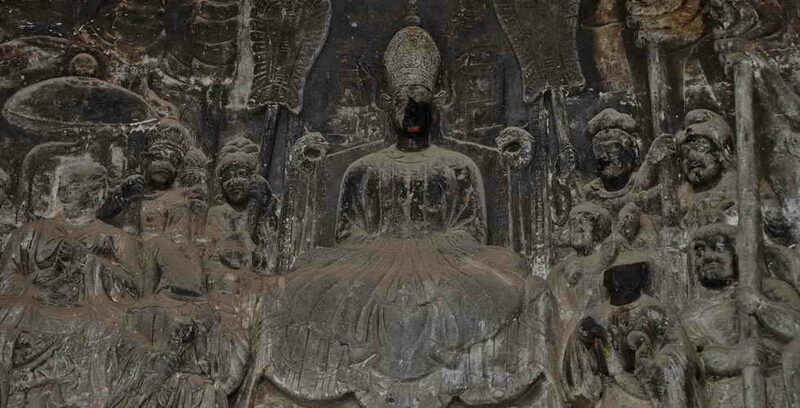 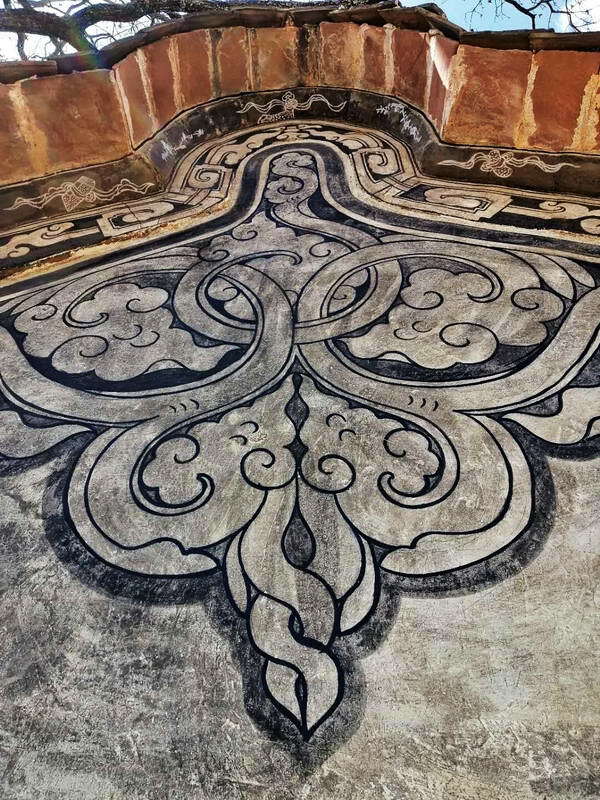 Shaxi temple painting requires additional knowledge of properly placing sacred text and iconography. 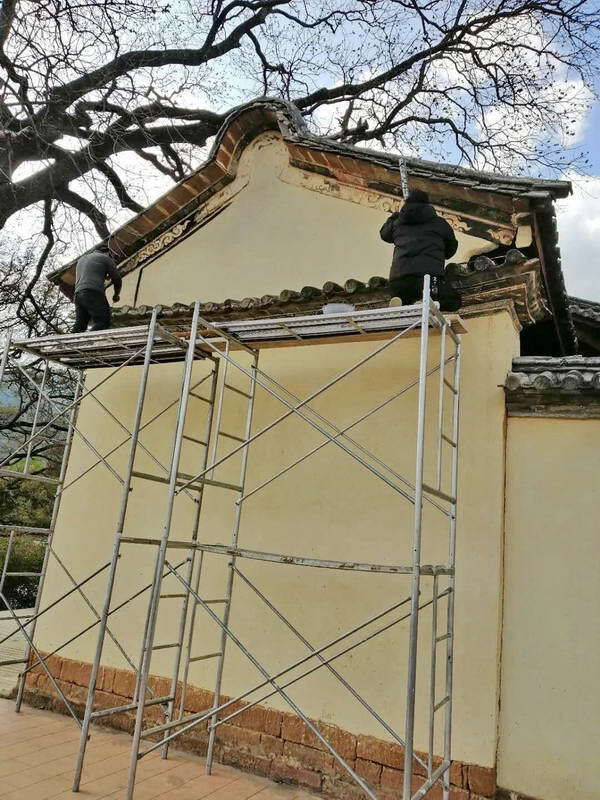 As the two most experienced temple painters in Shaxi Valley had been on various jobs around Yunnan, we had to wait almost two years for them to return to Shaxi with a fair weather window. 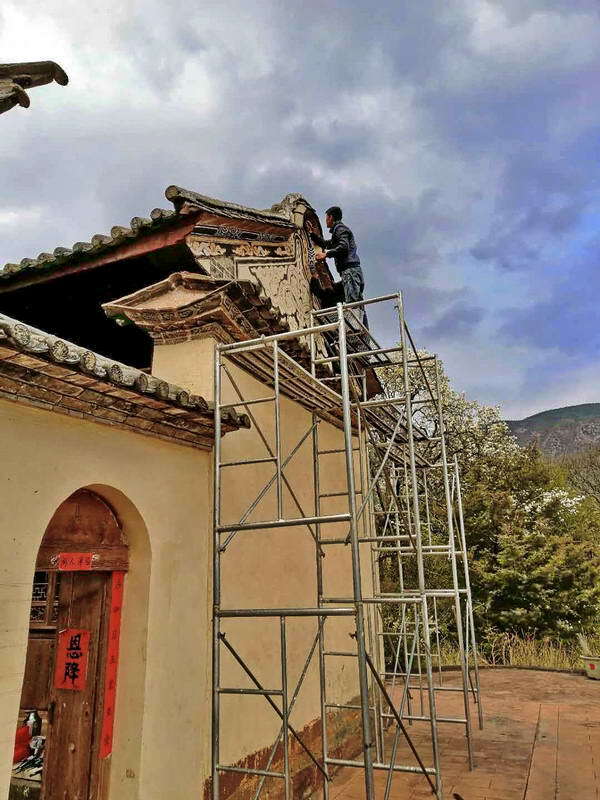 We were lucky that Mr. Duan and Mr. Li are both from the Duan Village across the valley, home to Old Theatre Inn, making an easy 15 minutes walking commute for them each morning. 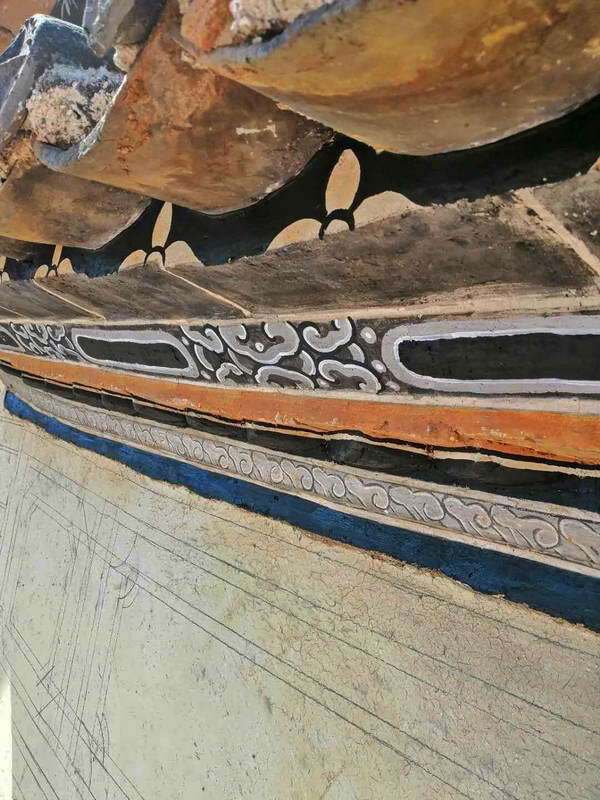 The images below represent the first phase of the wall repainting work, namely the exterior walls of the Jade Emperor shrine. 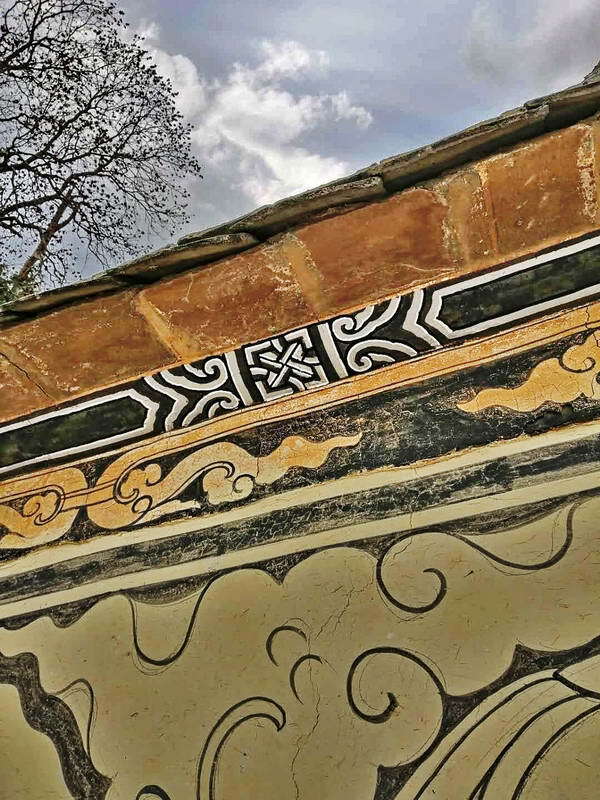 At the highest point of the temple, they are visible from far and represent the most sacred of the Pear Orchard Temple buildings.